Do your kids have a fascination with animals? A curiosity that surfaces when an animal is near? All of mine have each had a draw to different animals. We take full advantage of the local zoo to help fuel their curiosity and imagination. My youngest, while very intrigued by the zoo animals, is even more interested by cats. These little opinionated creatures have captured a part of her imagination that surprises me each time she sees one. Which is part of the reason we have been enjoying Millions of Cats ** in our house recently. 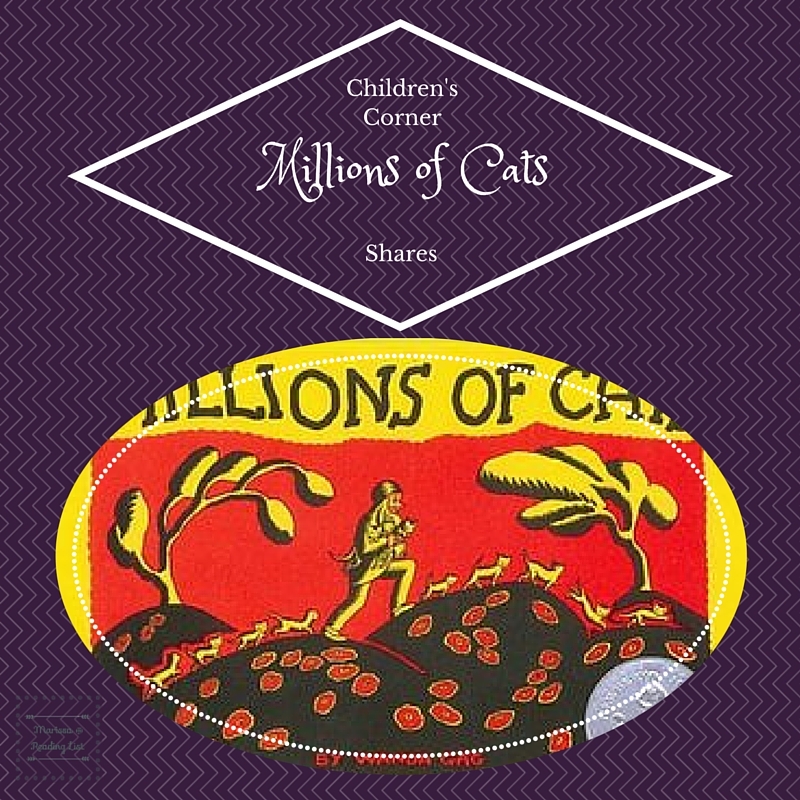 Millions of Cats by Wanda Ga'g is quite the story! Originally published in 1928, the story is not concerned with modern politically correct terms as the main characters are called very old man and very old woman. 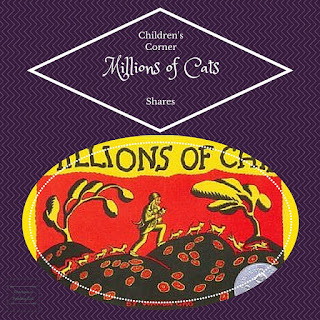 The story follows the little old man as he searches for a cat for his wife, upon her request. Somehow he brings home millions, even trillions of cats! The little old woman decides they will only be able to keep the "prettiest" one (again not really politically correct to say now...) and a cat fight follows. My kids just love seeing the behavior of the hundreds, thousands, millions, even trillions of cats! They drink all the water out of a pond, they ate all the grass off a field... it's just full of silly moments like that. The illustrations are simple, in black and white - which actually engages my kids imaginations more than some of our colorful stories I've noticed. They discuss each cat, and what must make it more pretty than the last (pretty is a theme in this book...). It has also led to some fun pencil drawings, which is nice to see (there are times when this mama does not want to pull out the hundreds, thousands, even trillions of crayons, colored pencils and markers that little kids have!). While some will probably shy away from this story, as it focuses on the prettiest, and ends with a cat fight, we have used it as spring-board for discussion with my older kids. We discuss why it's not good to simply look for the prettiest animal, or the prettiest people. I have also used this book to discuss how fighting, quarreling and bickering are not behaviors that draw people to you - which is evident as the cat fight happens. Overall, this is a classic that is certainly worth a try from the library, even if you aren't sure you want it on your home bookshelf. In case you are checking this out because you are thinking of doing some cat themed reading and crafting, I've included some great cat crafts below. There are fun easy ones for the toddlers, as well as an awesome Lego building tutorial for the older kiddos. Are your kids drawn to cats? Another animal? Do you avoid classic stories because of political correct terminology?